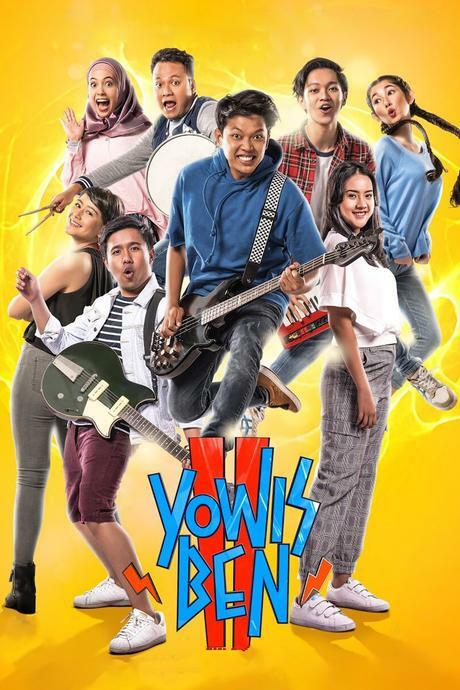 Following up the sleeper hit with an exhilarating sociolinguistic discourse, Yowis Ben 2 can still be funny even when the acting department's a bit lousy and the narrative messy. 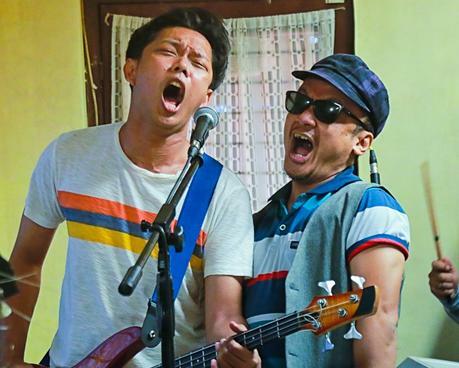 In 2018, Yowis Ben prevailed against the odd condemning its segmented nature-using regional language (Javanese) with a more obscure dialect (Malangnese) and came in as a profitable sleeper-hit (almost hitting a million viewers during its theatrical run). While the use of particular dialects is not a new thing in Indonesian cinema, especially in arthouse community; the fact that it was a mogul-produced blockbuster creates a new powerful surge in the industry (note that a year earlier, the very industry was caught unprepared by another sleeper-hit, Uang Panai, a Makassar-bound production). Given the financial success and warm response from general viewers, it is not surprising that an immediate sequel is produced in no time, hence Yowis Ben 2, an unnecessary yet still tremendously hilarious sequel. 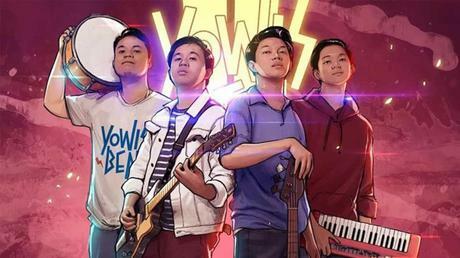 The first movie witnesses the rise of Yowis Ben, a high-school pop-punk band with Javanese lyrics, formed by Bayu (Bayu Skak, also directing), Doni (Joshua Suherman), Nando (Brandon Salim) and Yayan (Tutus Thomson). At the same time, it follows Bayu as he rises from a total loser into an icon as he finally won the love of Susan (Cut Meyriska), the girl of his dream. Yowis Ben 2 immediately leaves that premise behind, but not completely. Yowis Ben 2 begins with the end of dreams. Bayu is breaking up with Susan and Yowis Ben is in crisis due to bad management. Crises also strike each personnel of the band: Bayu needs to find fresh cash for her mother to avoid eviction, Doni struggles with his obsession of having a girlfriend, Nando finds it too hard to bear the thought that his widowed father is going to remarry, meanwhile Yayan takes an extreme yet non unusual life-decision. Fueled by crisis and aided by a stranger called Cak Jimi (Timo Scheunemann, originally a soccer coach), Yowis Ben departs to Bandung to chase another dream and solve their crises. At its strongest moments, Yowis Ben 2 is able to deliver similar energy as its predecessor. The candid, unpretentious comedic moments are always precious when they perfectly land, especially when delivered in the native language. Same as before, the use of Javanese language isn't merely a gimmick (as it was concerned about back then), rather it's a narrative device to convey the existence of social gap and to provide context about the daily communication in Malang, East Java. In the sequel, the language plays some bigger roles. At a time, it is used to picture the diversity in Indonesia; at some other times, it is used to provide sociolinguistics discourse when the movie sets aside to the Bandung set. The boomerang comes around where it launches. Yowis Ben 2 's ambitious narrative goal comes troublesome when it only focuses on one point and, even, does it hastily. The whole movie seems to be following Bayu; most of the time, other characters' motivations are only some background making the story a little too convoluted. As the drama stacks its conflict upon each other, the movie has already passed its middle act; when the climax arrives, it's long overdue and partial. The only way out to resort at this point is some kind of deus ex machina, which makes all the cliches felt anticlimactic. Note that humor, especially verbal one, is bound to its linguistic and cultural nature; Yowis Ben and Yowis Ben 2 decide to bind it tight to certain cultures only. It's never been universal in the first place. The first movie blends such kind of humor with a more orthodox narrative and it works among all the cliches. The sequel feels more like a crowdpleasing move-knowing pretty well that its target market warmly accepted the story, the presentation and the characters. With such advantage, Yowis Ben 2 sadly becomes a little bit lousy in the acting department. While the expanded ensemble adds more fresh face to grab wider audiences (Scheneuman, Anggika Bosterli and Anya Geraldine most notably), but only some can add depth in performance or in the whole story.